Facebook or a Dedicated Website for Your Business – Which? Home > Blog > Marketing Hints > Facebook or a Dedicated Website – Which Does Your Business Need? Some time ago I explained why a business should not rely on Facebook for its online presence (you can read why here), but there are, in fact, businesses that thrive very well with only a Facebook presence. One of them is my local pub. Let me be clear: all the reasons I listed in that article earlier are completely valid and true. However, if your business doesn’t sell anything online, take bookings online, need to publish valuable information online, or need to create a professionally branded online presence, then a Facebook page would work very well, because it wouldn’t matter if your page was taken down. All you would lose is past updates, comments and ‘Likes’. You could create a new page and quickly be back in business. Very few people trawl back through a Facebook page to see what someone said two months ago..! My local pub uses Facebook to publish pictures of new dishes the chef has created, make announcements about events (Quiz night this week), or this year’s Christmas special menu, and post pictures of revellers at recent events, but that’s it. My local doesn’t need (or want) to establish a branded corporate presence, to provide detailed product or service information, a Q & A section, sell merchandise or take bookings online. Its Facebook page is followed by its regular customers who form a community that’s kept up to date with what’s happening. In the converse situation, though, where a branded online presence providing those items I mentioned earlier is required, then yes – to rely solely on Facebook would be foolhardy. As Facebook evolves and focuses increasingly on generating revenue, so the reach of the updates you make is getting smaller and smaller, unless you pay. And the price is steadily going up, making Facebook less and less cost-effective over time as a means of reaching your audience with new information. Essentially, on Facebook you are not in control of your own content – Facebook is. Far better to invest in your own online property, which you can brand and do with as you please. No one is going to take down your page because you have infringed some obscure term or condition, and your reach is not going to be increasingly restricted. Plus it will be fully branded to your company’s style book. That’s not to say ‘ignore Facebook’. No – Facebook can be a useful part of your online marketing mix. For starters, Facebook pages do well in the search results. So your Facebook page could well rank above your company’s website page. And that doesn’t matter (provided your Facebook page directs people back to your company page, of course!). Your Facebook page should act as a satellite to your company’s website. So make small updates there, interact with your visitors and customers, but make sure that your primary presence is your company’s website. Your company website should be the hub of your online presence. Facebook (plus your other social media sites) should be satellites at the end of the wheel spokes, driven by, and driving visitors back to, the hub. 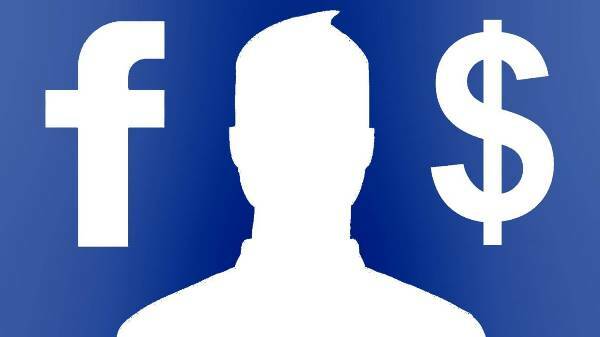 For more details on the dangers of making Facebook the sole online presence for your company read that article I referred to earlier – click here.